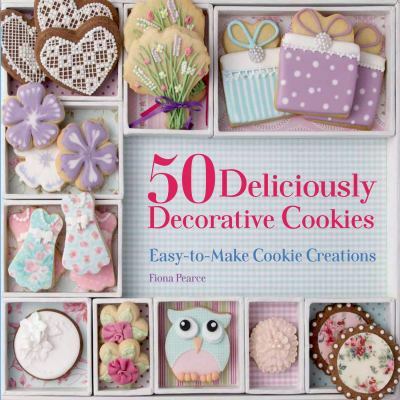 For bakers of all skill levels, this delightful book features 50 projects to try with a wide range of different decorating techniques: elegant cookies piped with royal icing, or fun and funky fondant cookies, or cookies made with amazing colored dough, or built up into awesome 3-D cookie sculptures! The projects are grouped according to the type of icing used, and a neat icon shows roughly how long it takes to make each one. And at the back of the book is a selection of cookie recipes, decorating tips, and a set of templates. The founders of the popular Naked Kitchen website unveil more than 100 of their favorite organic plant-based recipes for burger lovers everywhere. 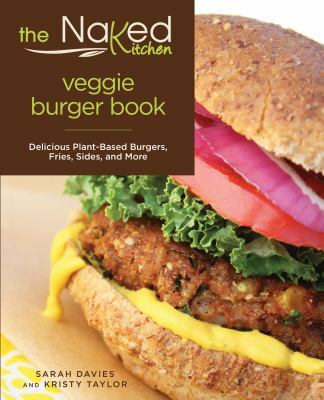 The recipes combine simple, wholesome ingredients to create a wide variety of scrumptious vegetable- and bean-based burgers and accompaniments that everyone can enjoy. These cookbooks are so excellent, you may want to make a permanent place on your bookshelf for them – I know I’ve checked each one out from DPL several times. The library can be a real lifesaver for thrifty cooks like me! 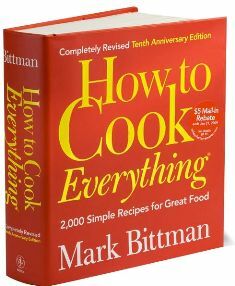 How to Cook Everything by Mark Bittman: Drop everything and try the recipe for “Jim Lahey’s No-Work Bread” on page 833. It will blow. your. mind. The Good Housekeeping Cookbook: Nothing but the best, most versatile, most standard, most essential recipes. I have checked this book out at least 5 times, and I’m always finding something new to try. I’ve gotten tons of compliments on their recipe for roasted red potatoes! 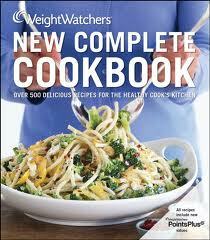 Weight Watchers New Complete Cookbook: Although I’ve never joined Weight Watchers, I’ve always loved their cookbooks. All the recipes are flavorful despite being light, and the included nutrition facts are helpful for any weight loss goals. Recipes in this newest WW book run the gamut from the easy (Turkey Chowder: ten ingredients and 5 hours in your crock pot) to the hard (Tandoori Lamb with Almond-Apricot Couscous: unfamiliar ingredients with a big flavor payoff). Bonus: includes a large and very yummy vegetarian section. The Sneaky Chef: how to cheat on your man (in the kitchen): Cooking healthy food for picky eaters is tough, whether they’re your kids or your spouse! This book is full of ingenious ways to hide healthy ingredients in hearty, familiar foods that anyone would love. Want to learn how to sneak cauliflower, zucchini, white beans, or yogurt into your mashed potatoes to cut down on fat and boost nutrients? How about adding spinach, broccoli, cauliflower, peas, and zucchini to chili for a hearty and decadent meal with a serious nutritive punch? Awesome. 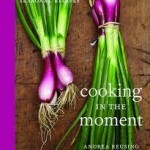 Cooking in the Moment by Andrea Reusing – Interspersed with short essays and gorgeous photographs of Reusing’s farm and kitchen, this friendly cookbook celebrates simple food cooked with love through the seasons. Cooking from the Farmers’ Market from William-Sonoma – As you would expect from Williams-Sonoma, this cookbook is beautiful and stylish and offers multiple recipes for each fruit and vegetable featured. Recipes are sophisticated but not out-of-reach. 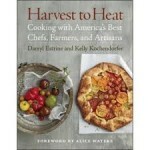 Harvest to Heat: Cooking with America’s Best Chefs, Farmers and Artisans by Darry Estrine – Here’s a slightly different approach – following the growers and creators using the best ingredients. The emphasis is on family favorites and local delicacies across America. Seasonal Recipes from the Garden by P Allen Smith – Low-key and approachable, this cookbook makes you feel like you’re exchanging recipes with a good friend. 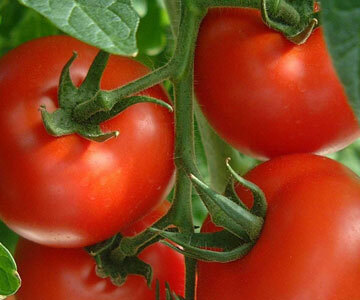 The recipes are favorites of P Allen Smith and his family and celebrate the backyard bounty of the garden. 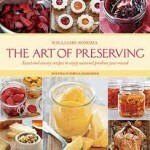 The Art of Preserving from Williams-Sonoma – Keep some of that summer goodness for the cold days of winter. Not only does this book show you how to make delectable jams and jellys and salsas and relishes, it gives you multiple ways to use them in tasty dishes. If you are a fan of cookbooks, or any type of book related to food, then take a quick trip to Iowa City to see the The Chef Louis Szathmáry II Collection of Culinary Arts housed in the University of Iowa Libraries’ Special Collection Department. This collection contains over 12,000 items relating to the art and science of cooking and eating, including cookbooks, fiction, pamphlets, artist books, manuscripts and much more. Louis Szathmary (1919–1996), was a Hungarian-born chef, restaurateur, food writer and owner of The Bakery restaurant in Chicago who built one of the largest culinary arts archives in the United States; in fact, the University of Iowa is housing only a fraction of his collection. In Books at Iowa 42 (April 1985), Szathmáry wrote: “To house this large and varied collection requires 31 rooms in the residential area above my restaurant (The Bakery) in Chicago.” That is a lot of tasty print! However, don’t worry if you prefer to be an Armchair Cook– The UI Special Collections and Digital Libraries have digitized a huge selection of Szathmary’s Recipe pamphlets, such as “I thought I knew all about Bacon–“, that you can view online at http://digital.lib.uiowa.edu/szathmary/! 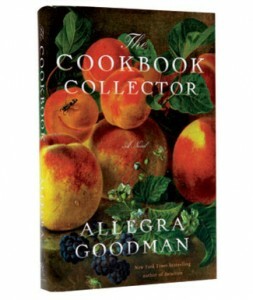 The title of The Cookbook Collector by Allegra Goodman is indicative of the book’s style. 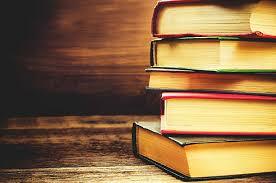 The cookbooks in question aren’t introduced until well into the story, and is just one of several plotlines. The book has been compared to Jane Austen’s Sense and Sensibility but I get a Dicken’s vibe, myself. There is an abundance of characters; many of them quite eccentric. There is also a sense that, in this book and for these characters, morality is an actual consideration in how they conduct themselves and the choices they make. Two sisters are contrasts in lifestyle and general philosophy. Jess, the younger sister, is a free spirit, environmentalist, and perennial student. Emily is the CEO of a computer startup company (this being the late ’90’s and San Francisco). Romantic tension abounds between Jess and her boss, the owner of a used and rare book store; they argue about everything – books, authors and whether books should be collected and owned or shared (via the public library system!). The dialogue between these two is witty and erudite, but not pompous. Book lovers, library users and patrons of book stores, will all find something in The Cookbook Collector to chew on. Be sure to keep your doors locked this time of year. Not because of a crime wave, but to keep the neighbors from sneaking bags of zucchini and tomatoes into your car/back porch! It w asn’t that long ago that we were in the depths of icy winter and many of us had forgotten what a real, homegrown tomato tasted like (just that it wasn’t that pale red styrofoam substitute that you found at the grocery store) and now, just a few months later we’re drowning in tomatoes and overwhelmed by zucchini. Eat better, help save the planet and support your local economy – you can do it all in one place, all at the same time simply by visiting and shopping at your local Farmers Market. You’ll eat better because you’ll know exactly where you food comes from, often the food is organically grown, and usually it has been harvested within the last 24-48 hours so it’s incredibly fresh. 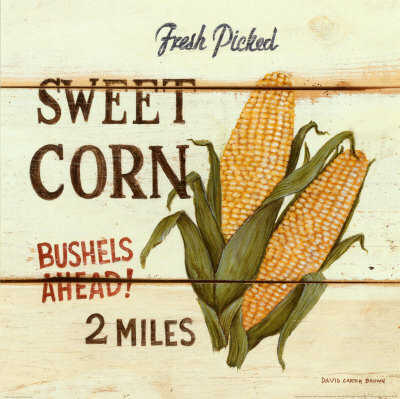 You’ll help save the planet by buying locally, cutting the use of fuel (and the resulting pollution) caused by transporting produce hundreds of miles. And you’ll support your local economy by buying from area farmers – people who are probably your neighbors. Lucky for us, the Quad City area is home to a lot of Farmers Markets making it easy to find one close by. This week (August 3-9) is National Farmers Market Week, a reminder to get out there and see what your local growers have to offer. 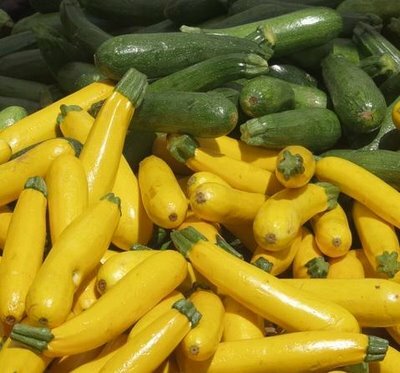 August is a great time to shop at the Farmers Markets – corn, tomatoes, zuchinni, beets, potatoes, peppers, eggplants, onions, herbs of all kinds not to mention gorgeous flowers such as sunflowers and zinnias – are all in great abundance now. Not sure what to do with all of that bounty? 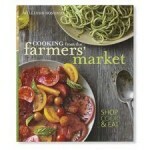 Check out these books for fresh, easy recipes designed to make the most of this wonderful season.